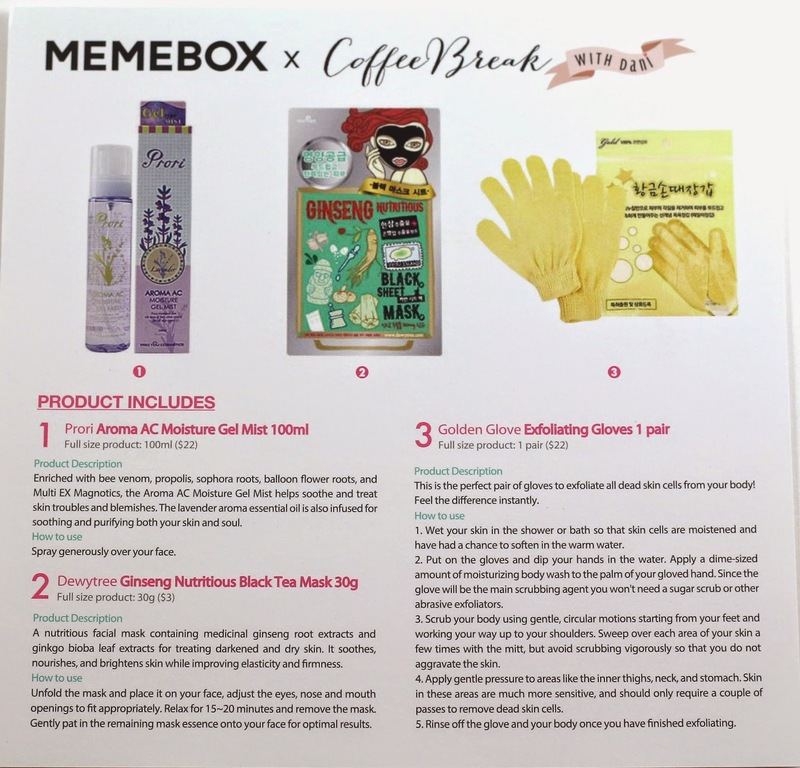 Memebox has recently started doing collaboration boxes with YouTubers and everything that's in the box is revealed when the box goes up for sale. I wasn't really interested in the first two they offered, because I had never heard of the people behind the collaboration, and the items in the boxes didn't look that exciting. 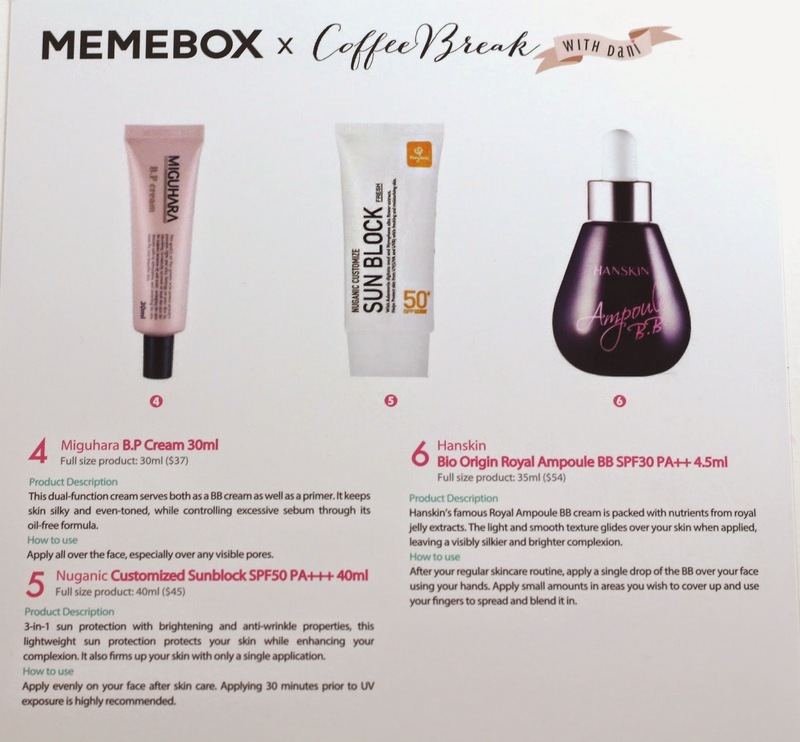 But then I watched the video for the Collaboration Box #3 Coffee Break with Dani, and I thought Dani was super adorable, and I was interested in trying all the products. I then obsessively went back and watched a ton of her other YouTube videos, and subscribed to her channel. 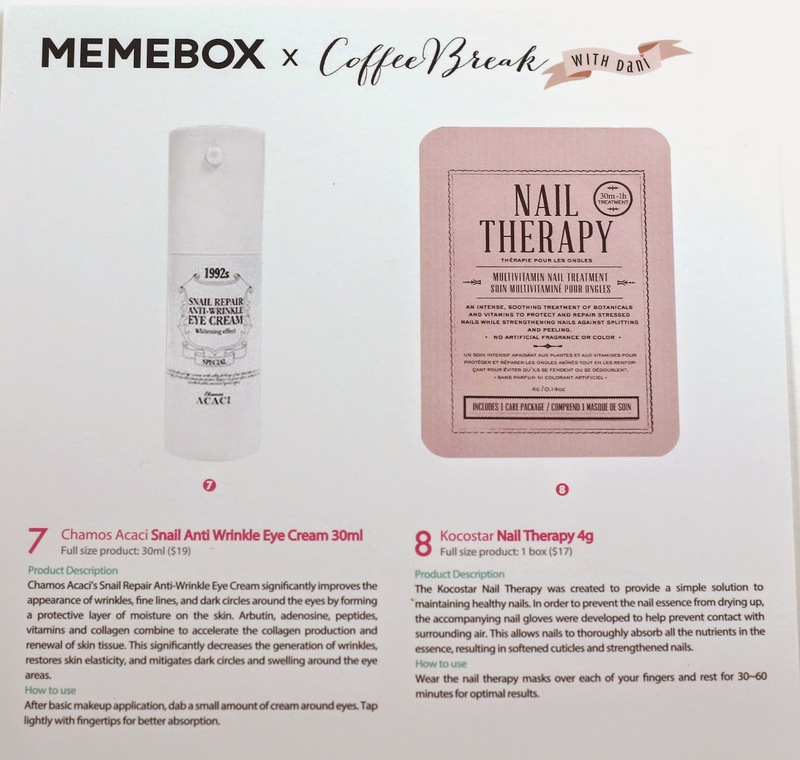 The collaboration boxes are also a little different because they ship out as soon as you order it, and this particular box sold out within a day. I was so glad I snatched one up! This box arrived in 8 days, and was originally sold for $23 (plus $6.99 shipping). The box is so cute! Dani picked out the colors of the box herself, including the inside coral color! Even though I knew what was in this box before getting it, I was so surprised by how full the box was! That's usually a good sign. There were 8 products, which was so many that they had to make the info card two cards, front and back. Product description: "Enriched with bee venom, propolis, sophora roots, balloon flower roots, and Multi EX Magnotics, the Aroma AC Moisture Gel Mist helps soothe and treat skin troubles and blemishes. The lavender aroma essential oil is also infused for soothing and purifying both your skin and soul." How to use: "Spray generously over your face." My thoughts: This gel mist smells like lavender and I haven't had a chance to test the long term effects of it, but it is refreshing and nice sprayed over the face. And it would have been great in the oppressing heat of summer, but I suspect it will be refreshing even in the winter. 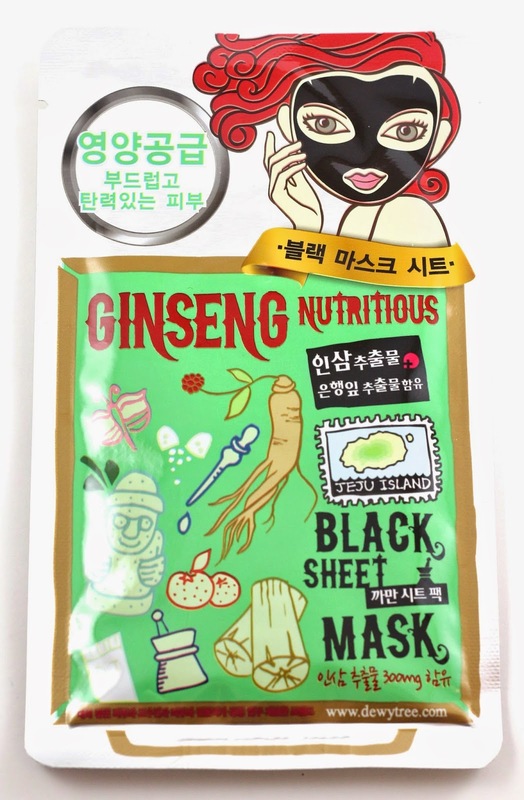 Product description: "A nutritious facial mask containing medicinal ginseng root extracts and ginkgo bioba leaf extracts for treating darkened and dry skin. It soothes, nourishes, and brightens skin while improving elasticity and firmness." How to use: "Unfold the mask and place it on your face, adjust the eyes, nose and mouth openings to fit appropriately. Relax for 15~20 minutes and remove the mask. Gently pat in the remaining mask essence onto your face for optimal results." My thoughts: I am a little worried about using this, I have heard many had a very bad reaction to this mask, so I'm not sure if I want to use it. But I'll probably give in, my skin isn't very sensitive, and so far I haven't found anything I'm allergic to. Product description: "This is the perfect pair of gloves to exfoliate all dead skin cells from your body! Feel the difference instantly." Wet your skin in the shower or bath so that skin cells are moistened and have had a chance to soften in the warm water. Put on the gloves and dip your hands in the water. Apply a dime-sized amount of moisturizing body wash to the palm of your gloved hand. Since the glove will be the main scrubbing agent you won't need a sugar scrub or other abrasive exfoliators. Scrub your body using gentle, circular motions starting from your feet and working your way up to your shoulders. Sweep over each area of your skin a few times with the mitt, but avoid scrubbing vigorously so that you do not aggravate the skin. Apply gentle pressure to areas like the inner thighs, neck, and stomach. Skin in these areas are much more sensitive, and should only require a couple of passes to remove dead skin cells. Rinse off the glove and your body once you have finished exfoliating." My thoughts: I've never heard of exfoliating gloves, I've personally just used sugar scrubs, but I'll see if these help at all. The only thing that worries me is the gloves don't look like very good quality, so I don't know how long they'll last. 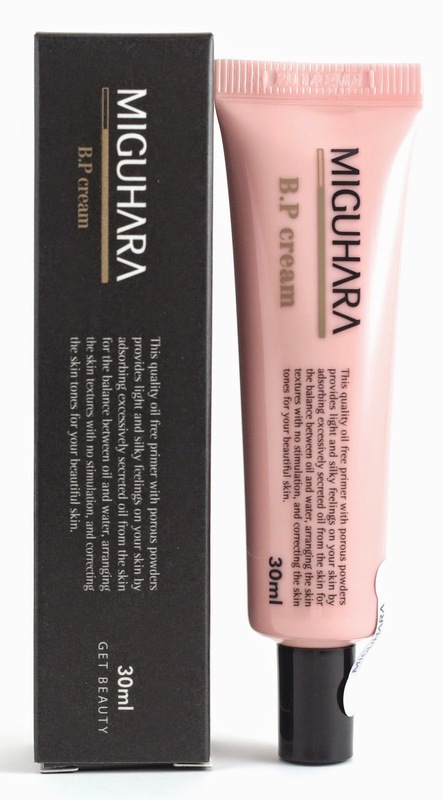 Product description: "This dual-function cream serves both as a BB cream as well as a primer. It keeps skin silky and even-toned, while controlling excessive sebum through its oil-free formula." How to use: "Apply all over the face, especially over any visible pores." My thoughts: This is the one item people went gaga over, so I can't wait to use it! I tried a little on my hand, and it definitely smoothed it out and reduced any imperfections. 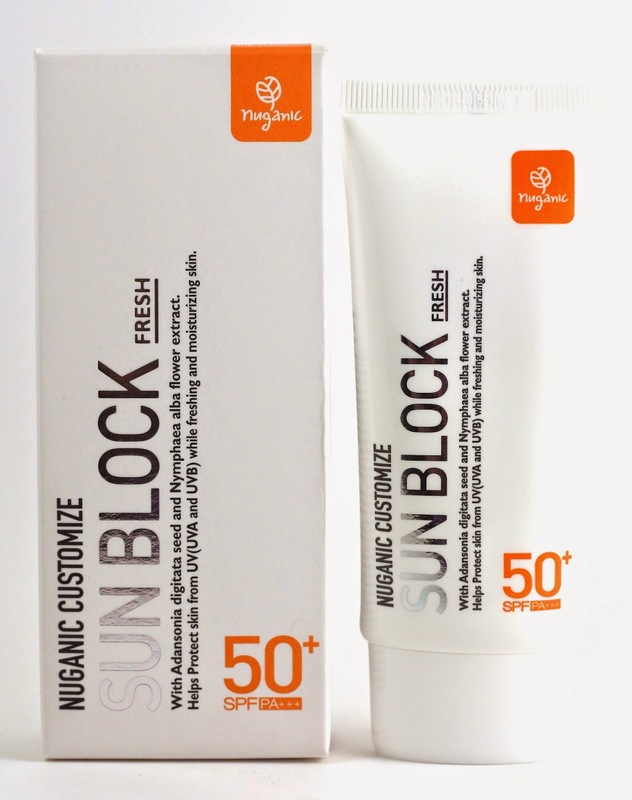 Product description: "3-in-1 sun protection with brightening and anti-wrinkle properties, this lightweight sun protection protects your skin while enhancing your complexion. It also rms up your skin with only a single application." How to use: "Apply evenly on your face after skin care. Applying 30 minutes prior to UV exposure is highly recommended." My thoughts: Yay more sunscreen! I have a lifetime supply now. It's too bad I don't go outside much, so I guess I'll have to do that or something hah! 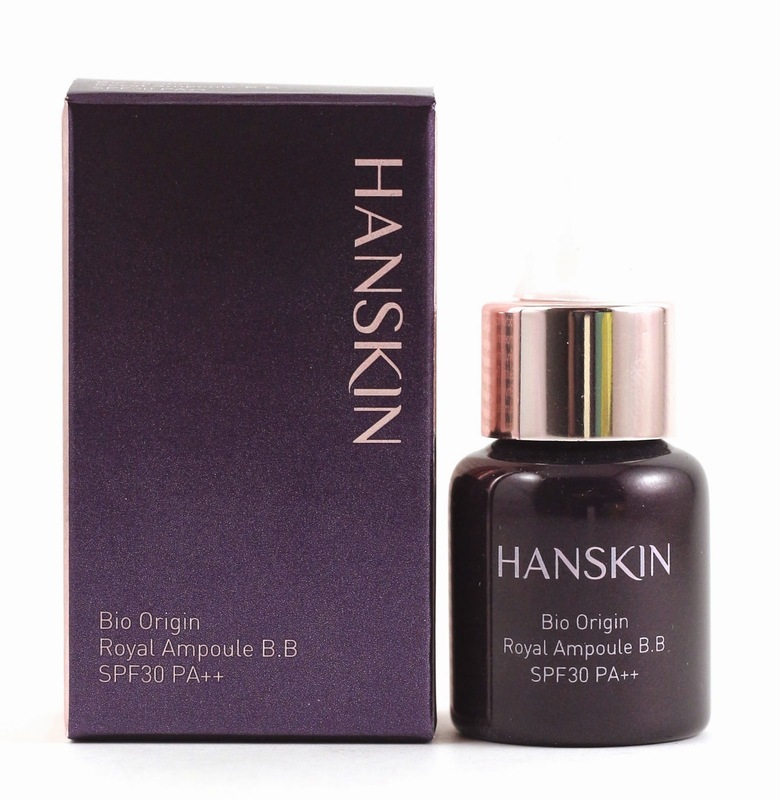 Product description: "Hanskin’s famous Royal Ampoule BB cream is packed with nutrients from royal jelly extracts. The light and smooth texture glides over your skin when applied, leaving a visibly silkier and brighter complexion." How to use: "After your regular skincare routine, apply a single drop of the BB over your face using your hands. Apply small amounts in areas you wish to cover up and use your fingers to spread and blend it in." My thoughts: This product is pretty thick and doesn't really drop out of the dropper. It may be because it's a sample size, but it does rub into my skin tone well. I just don't know how one drop will do anything noticeable to my skin. 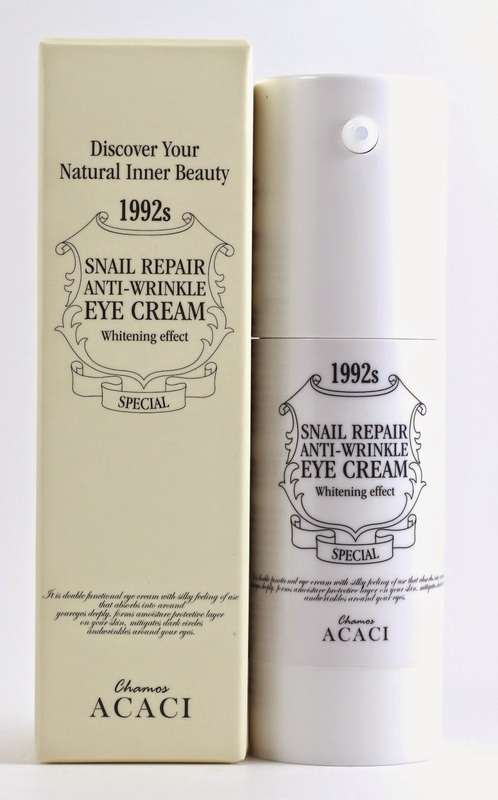 Product description: "Chamos Acaci’s Snail Repair Anti-Wrinkle Eye Cream significantly improves the appearance of wrinkles, fine lines, and dark circles around the eyes by forming a protective layer of moisture on the skin. Arbutin, adenosine, peptides, vitamins and collagen combine to accelerate the collagen production and renewal of skin tissue. This significantly decreases the generation of wrinkles, restores skin elasticity, and mitigates dark circles and swelling around the eye areas." How to use: "After basic makeup application, dab a small amount of cream around eyes. Tap lightly with fingertips for better absorption." My thoughts: I have a lot of eye creams and I don't know that I actually have one advertised as anti wrinkle. Most of them are "firming creams" so I'll be interested to use this in my crusade in preventing wrinkles for as long as I can. Product description: "The Kocostar Nail Therapy was created to provide a simple solution to maintaining healthy nails. 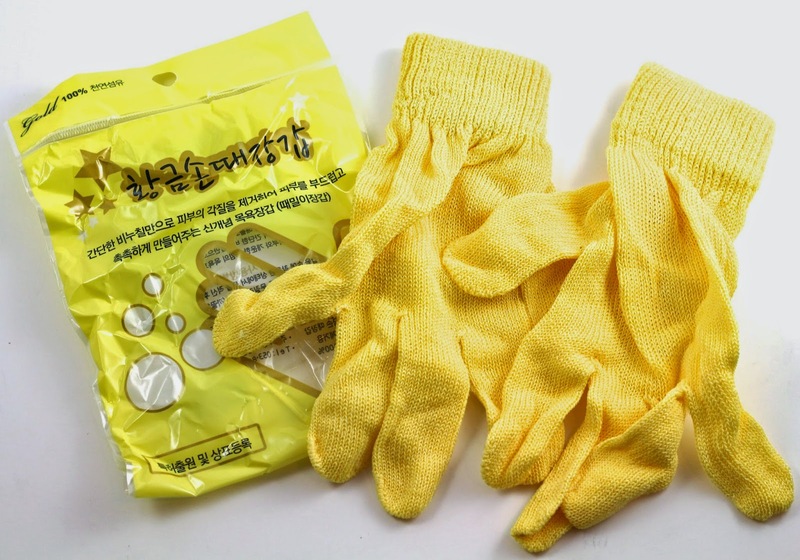 In order to prevent the nail essence from drying up, the accompanying nail gloves were developed to help prevent contact with surrounding air. This allows nails to thoroughly absorb all the nutrients in the essence, resulting in softened cuticles and strengthened nails." 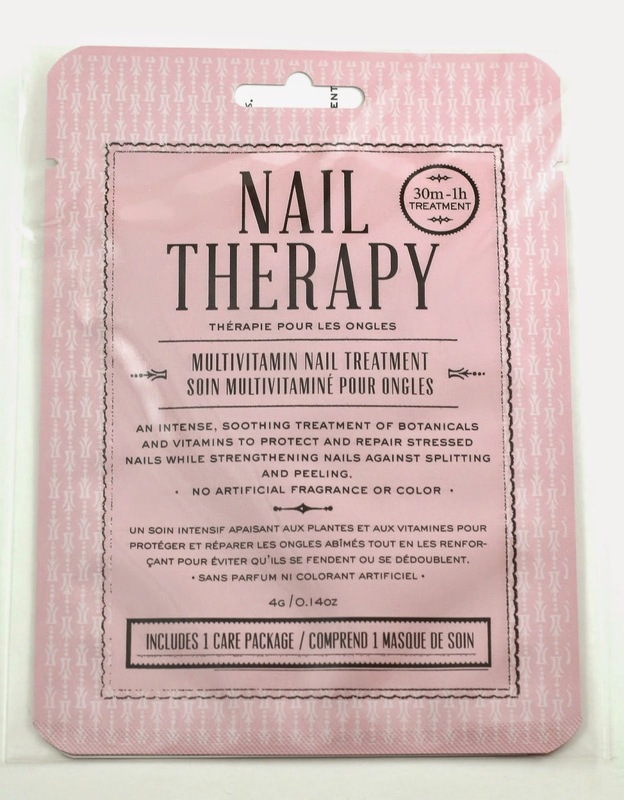 How to use: "Wear the nail therapy masks over each of your fingers and rest for 30~60 minutes for optimal results." My thoughts: I just used this nail mask and honestly my cuticles seemed softer for a few minutes after, but they are still a terrible mess at the moment. It didn't really seem to much more than regular lotion would do or some good cuticle oil. Overall, the Collaboration Box #3 Coffee Break with Dani had a total value of $158.40 which is an incredible value! 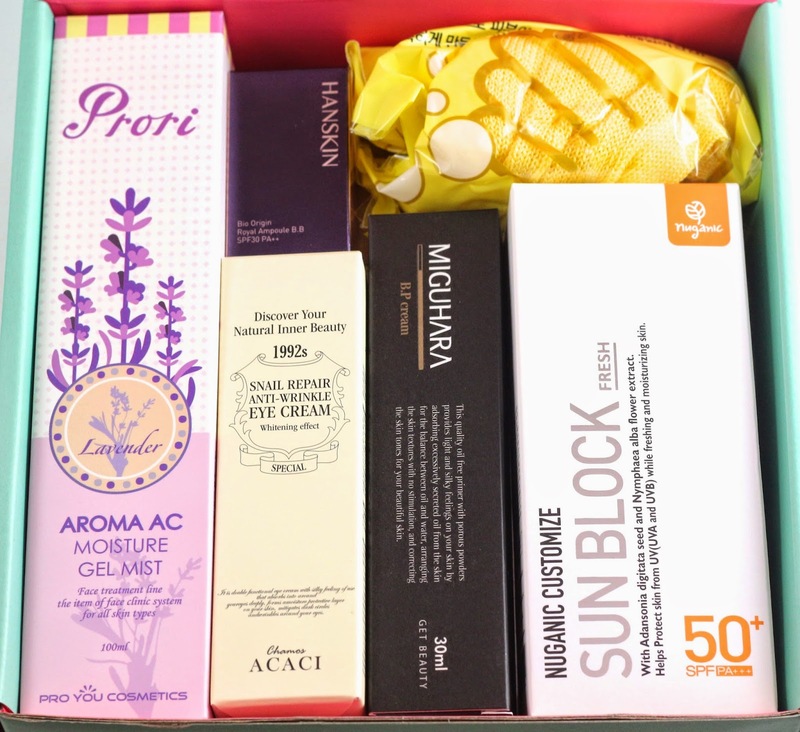 Especially seeing her video about why she picked each item, it really made me want to try everything in this box. 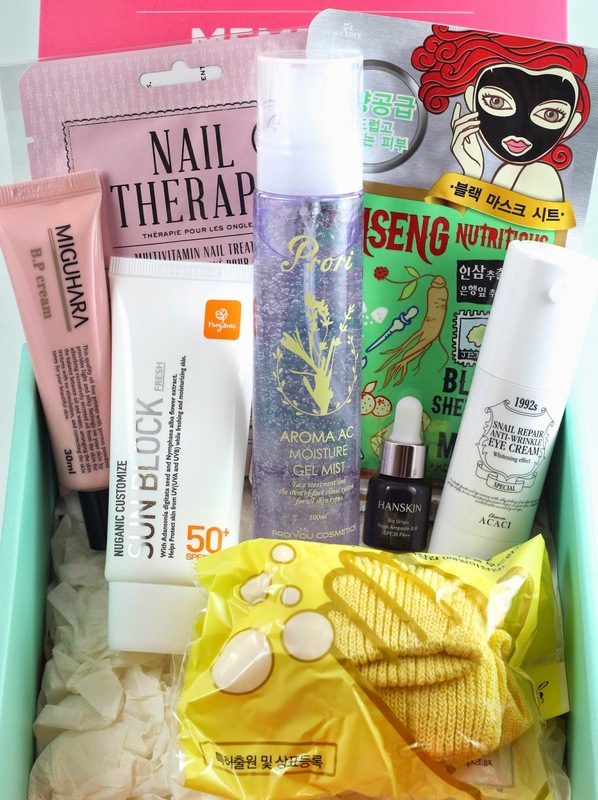 Other than the nail mask that didn't really seem to do anything, maybe after a couple a week it would be a more noticeable difference, I am really looking forward to trying the other items in this box! 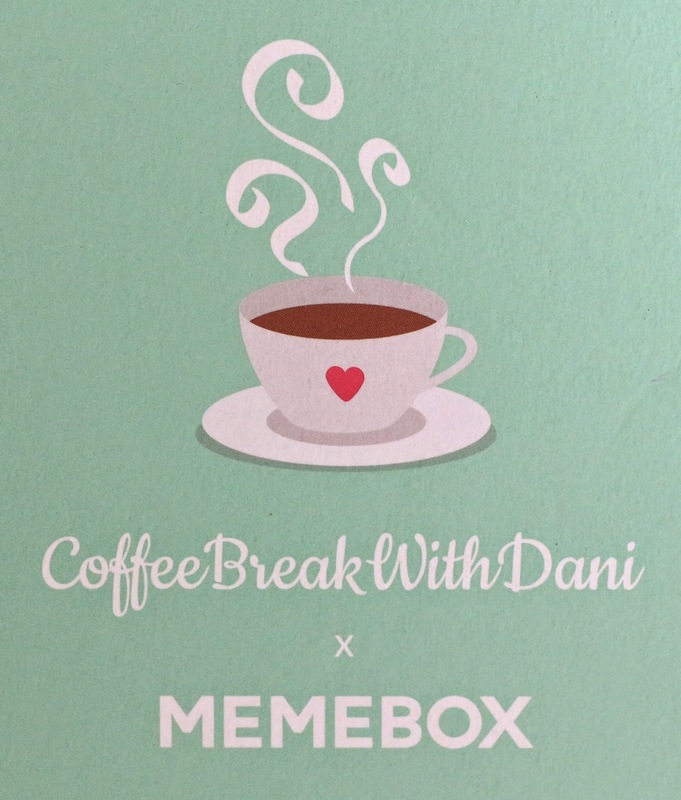 What did you think of the Collaboration Box #3 Coffee Break with Dani? Let me know in the comments!